In the latter part of 2016 I found myself reading the Queensland College of Teachers newsletter. I noticed an article about the Queensland Cooper Hewitt Fellowship application process. I paused to reflect on my own use of design over the last few years. What an intriguing opportunity. Twelve weeks in New York working with the design education team at the Cooper Hewitt Smithsonian Museum. Four months later I was checking my pigeon hole at work and noticed an official looking letter. You can imagine my excitement as I read the words from Leeanne Enoch (Minister for Innovation, Science and the Digital Economy) that my application had been successful. Here is a movie created by the State Libraries Design Minds where I reflect on design thinking in education and look towards my time in New York as this year’s Cooper Hewitt Fellow. 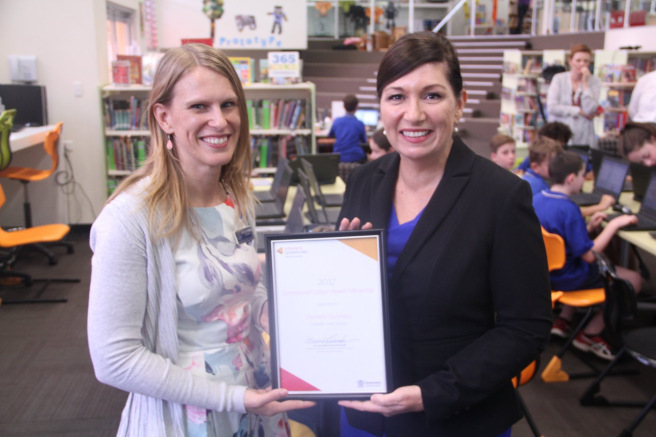 This article by Oakleigh State School teacher and 2017 Queensland-Cooper Hewitt Fellow Chantelle Sansness was originally published on Discover Connect Create on 15 June 2017.